Blue Water Navy Veterans Win Agent Orange Victory Thousands of Navy veterans who may have been exposed to Agent Orange are now eligible for VA disability benefits after a federal court ruling. Thousands of Navy veterans of the Vietnam War who may have been exposed to Agent Orange are now eligible for VA disability benefits after a federal court ruling cleared the way. The ruling grants presumptive disability status to the more than 90,000 “Blue Water” Navy veterans who served offshore during that conflict. Previously compensation was only available to those sailors who actually set foot in Vietnam and those who were on boats in inland rivers—often referred to as the “Brown Water” Navy. Many of the sailors who served offshore in the “Blue Water” Navy during the Vietnam War say they were exposed to the deadly brew of defoliant chemicals because their ships pumped in potentially contaminated water which was used for showers and laundry and even distilled for drinking. Under the Agent Orange Act of 1991, the “Blue Water” veterans were declared eligible for compensation, but the VA changed its ruling ten years later. Now, the U.S. Court of Appeals for the Federal Circuit has sided with a Vietnam veteran with cancer who sued the Department of Veterans Affairs. He argued that the VA should recognize that his health conditions were caused by Agent Orange. In a 9 to 2 decision, the court agreed and ruled that the 1991 law was clearly meant to include veterans who served off the coast of Vietnam. There are certain diseases that the VA labels as presumptive conditions. It means that the VA presumes that specific disabilities diagnosed in certain veterans were caused by their military service. Vets with these illnesses don’t need the usual amount of evidence to file a claim. The veteran can qualify for disability benefits without the burden of proving the condition was caused by military service. Currently, VA recognizes 14 presumptive conditions associated with exposure to Agent Orange or other herbicides including diabetes, various cancers, Parkinson’s Disease, peripheral neuropathy, and a type of heart disease. Ischemic heart disease is one of the most common diseases linked to Agent Orange. It is a serious heart problem where your arteries build up plaque, restricting oxygen flow in the blood. This can lead to a heart attack if the arteries get completely clogged. This federal court decision is just one milestone in the controversy over Agent Orange and its effects which have been around for more than four decades. During the Vietnam War, U.S. Forces used powerful herbicides in an attempt to remove ground cover and crops which could aid Viet Cong and North Vietnamese soldiers. More than 20 million gallons of various herbicides were spread over Vietnam, Laos, and Cambodia between 1961 and 1971 during an ongoing military mission codenamed Operation Ranch Hand. 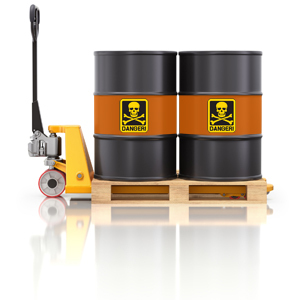 The herbicides were nicknamed by the colored marks on the 55-gallon drums that held the herbicides. There was Agent Pink, Agent Green, Agent Purple and other colors, but the most widely used chemical compound was Agent Orange. Agent Orange contained a dangerous chemical called Dioxin and accounted for almost two-thirds of the herbicides used in the Vietnam War. In 1971 the U.S. banned Agent Orange and the remaining barrels of the toxic mixture were taken to a remote Pacific island and destroyed. If you have been turned down by the VA for a service-connected disability including those disabilities related to Agent Orange exposure and you believe the denial was unfair, you have the right to appeal and you have the right to have an attorney represent you.